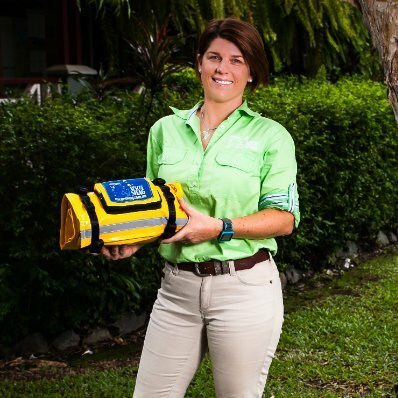 Tracey Beikoff is a proud Mareeba local and recent survivor of Channel 10’s hit entrepreneur show Shark Tank. Dubbed ‘pitch perfect’, Tracey floored the Sharks during her presentation and walked away with a new mentor and $220k in her pocket to grow her Rescue Swag business. Tracey’s idea was formed 3 years ago and early on, was nurtured through involvement in similar innovative forums at the time, led by visionary Christine Doan. Spring-boarding from the inspiration and guidance she received, Tracey was encouraged to develop the product and to apply for the Tropical Innovation Awards that year, where the initial prototype won ‘Emerging Innovation’. From these beginnings, the Rescue Swag has now triumphed on the set of Shark Tank, entering a new league of business and now looking to international markets. However, Tracey aims to operate the business from Mareeba, with strategic warehouse and shipping channels in place. Having lived on the Tablelands for 26 years, Tracey’s pride in her community is evident and she hopes to share insights into her journey with local entrepreneurs.